Traveller or Tourist? – Tembea With Lulu. 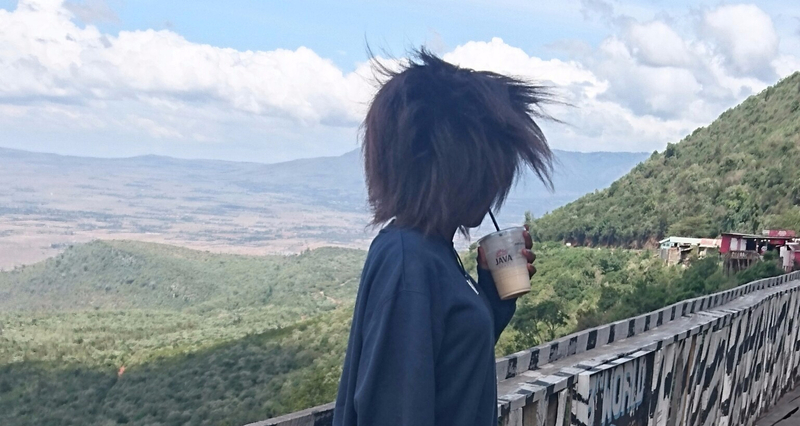 The Great Rift Valley Viewpoint, Kenya. Both tourists and travelers are on a journey. But the experience and destination are very different between the two. A tourist is someone who is visiting only the most popular places where other tourists will be. … By contrast, a traveler is someone who is less directed in the way they travel. The terms travel and tourism are often believed to be one and the same. In the initial days travelling was considered as a means of survival, but these days things have changed, it is now considered as an art form. A traveller is a person that prefers to travel light and without and tour packages. They prefer to move from place to place and never prefer to settle. Travelling in when the individual likes to immerse themselves in the culture, they prefer to spend time with the locals, they eat the local food. They like to go off on their on to find the nooks and crannies of the cites. They prefer to sit in a secluded corner and just prefer to live in the moment, without worrying about visiting something or any planned tours. Travellers usually pack light and always go off on their own to look for the next best thing that the city has to offer. They may carry a translation book and prefer to converse in the language of the place that they are in. A tourist is supposed to quite the opposite of a traveller. A tourist is usually seen in a huge group of people, family or tour guides. They prefer to stick of a schedule that may or may not be set by their tour guide. They prefer to visit the tourist places and snap photos of that place and themselves at that particular place. They also prefer not to mingle with the locals unless necessary, and prefer to speak in their own language rather than try the language of the locals. They do not prefer to try different foods and refer to stick to foods that they know, fastfoods eg. KFC. They often pack heavy and prefer to be prepared for any situation that they may come across. Tourists, of course, are more governed by time. For me a traveller has a minimum of 3 months somewhere or at least a month per country to be visited. This contrasts strongly with the tourist who has a maximum of 3 weeks to cram in as much as possible. Clips of you on a boat, at a castle, beside a ruin or under a big local fig tree become your narrative for what a country was like. Your limited time dictates that you must see, see, see and spend, spend, spend. Take home mementos and regale with impressive landscape and beach shots. A lifestyle traveller on the other hand, does not need to rush. There are no sites that “need” to be seen in a hurry. There is a vague list of places to visit, but the essence of the experience is the journey and how you get there. Talking to a taxi man about his local football team on the way from a bus terminal, is as rewarding as watching a sunset over the Taj Mahal. Moments of interaction, fun and spontaneity are what give the traveller satisfaction. Being with local people and telling them your story is what excites you. The traveller sheds their first world inhibitions and becomes a formless sponge, taking in the world around and accepting it for what it is – imperfect, incredible and immensely different. Being a tourist is great. You enjoy having what you want, when you want it and there is a level of intransigence about your personality. You like your life in your own country and are pretty sure that it is the best way to live. You enjoy getting glimpses of other cultures (pictures of buildings and people etc) and trying a local dish is worth doing once or twice a year on your holidays/vacation. You know that your money supports cultures when you visit them, and you are not afraid to demand value for that money you spend. You bring your expectations to other worlds and are sure that people should live up to them, not the other way round. Being a tourist appeals if you are time poor and cash or credit rich. Being a traveller is great if you want to immerse yourself in other cultures. While you have been brought up in an interesting country (or two), you are open to learning from people who technologically seem more primitive, yet when you delve deeper, appear more secure and happy. The appeal of being a traveller is that you can soak up the mundane and day to day of other worlds, without the need to rush from site to site or tour to tour. You know that all modern economies rely on cash flow to support cultures, be them 1st, 2nd or otherwise. Treating people with the same respect everywhere is paramount to you understanding this system. Your expectations are limited to expecting an experience, and being present to enjoying it. Being a traveller appeals if you make yourself time rich and cash or credit rich too. Either way both are very different and interesting experiences. So, which one are you, traveller or tourist? From the moment you were born, I always knew you were genius. I just didn’t know you would be this much genius. You are the best, babygirl. And I will forever be your number one fan. Love you bazilions..
Any visit to this blog is one exhilarating odyssey. Supa experience. Thank you so much dad. I love you too. I met a great person and a friendly lady. With humble and great future. Lulu remember as we talked ur the best. Remember what I did tell you. Be who you are and ensure the future is great for us all.